Tracklist: The Beautiful Children (Honey Dijon & Seven Davis Jr.) – Meet Me Downtown (Unreleased Demo) Lime – Angel Eyes (AG’s Re-Edit) UNIDISC MUSIC. Cori Josias – Taking It Straight (DC Edit) SIRE RECORDS. Gino Soccio – Remember ATLANTIC. H17 – Play To Win (Mbros Edit) PLAY TO WIN. Fela Kuti – Fela Edit (Jamie 3:26 Retouch) Traumer – A Gonna Get GETTRAUM. Ragtyme – Fix It Man (Chrissy’s Fixer Upper Edit) (feat. T.C. Roper) R&S/ALLEVIATED RECORDS. Fingers Inc. - I'm Strong R&S/ALLEVIATED RECORDS. Unknown – Unknown Honey Dijon & Seven Davis Jr. – Houze (Deetron Extended Mix) CLASSIC MUSIC COMPANY. Honey Dijon & Cakes da Killa – Catch The Beat CLASSIC MUSIC COMPANY. ZDS – Weapons WEAPONS MUSIC. Mattrixxman – Credentials FIFTH WALL RECORDS. Chris Nazuka – Amber & Smoke Aybee – The Motion Syntax DOGMATIK RECORDS. Kao-Tic – Harmony TRANSMAT. 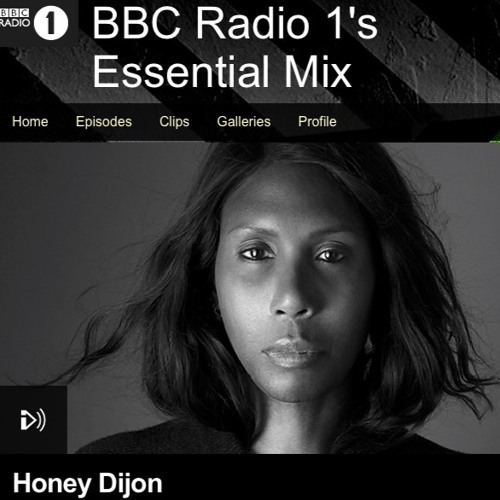 Honey Dijon & Tim K – Look Ahead (feat. Sam Sparro) CLASSIC MUSIC COMPANY. Marco Passarani – Quatro NUMBERS. Sir Lord Commix – Soul House UGLY MUSIC. Islolee – Beau Mot Plage CLASSIC MUSIC COMPANY. Rimbaudin – I Said Goodbye To Dreams Of You TEN THOUSAND YEN. @santiago-albo-1 me too my fav mix moment so far !!! So fun !! OH MYYYY GOOODD THIS IS KILLING ME SOOOO GOOD! !